If you need legal assistance regarding domestic violence matters, contact us online or call us at (615) 800-7096 today for a free consultation with an experienced attorney. Domestic violence is an epidemic that’s sweeping this country. It negatively affects everyone that is touched by the abuse — your family members, your friends, your co-workers, and especially your children. Although it’s hard to come forward and get help, it’s necessary to get free of the situation and move on with your life. The Nashville domestic violence lawyers at Martin Heller Potempa & Sheppard, PLLC understand what a difficult situation you are in. And that’s why we work hard to make sure you are not only protected from further abuse but you are properly compensated for any injuries you sustained during the relationship. Domestic violence is defined as abusive behavior by one intimate partner against another. That behavior can be physical and/or sexual violence, emotional abuse, or even threats. The frequency and severity changes from case to case. According to the National Coalition Against Domestic Violence, 1 in 3 women and 1 in 4 men have been victims of some form of physical violence by an intimate partner within their lifetime. In fact, there were 78,100 domestic violence offenses reported to the Tennessee Incident Based Reporting System in 2016. It’s not only married couples that experience domestic violence – as of 35,656 incidents, boyfriend/girlfriend relationships were the most frequently reported cases of all domestic violence offenses reported in Tennessee in 2016. Once you’re in the cycle of domestic violence, it can be extremely difficult to break. The victim is taught to believe that if she leaves or calls the police, the aggressor may take the children away in a custody action. The victim may be reliant on the aggressor to pay the household expenses. This makes the decision to leave or call the police becomes unfeasible. Tension building – phase one starts off innocent enough. The aggressor may start to exhibit signs of abuse such as denigration, isolation, and constant criticism. The acute explosion – As phase one evolves, a triggering event sets off the battery. The victim should look for certain characteristics of an aggressor, such as verbal abuse and threats. The honeymoon period – Following the explosion comes the conciliation period. The aggressor acknowledges his actions, expresses sorrow and ask for forgiveness. Your abuser wants to make up and becomes loving and nurturing. But soon enough, the cycle begins again. In Tennessee, domestic violence is a crime. But there are laws that protect victims from any further harm. First, the victim can obtain a protective order to prevent the abuser from contacting you or your children. This order will remain effect until you either get a divorce from the abuser or the protection order is dissolved. Despite what you may have heard, protective orders do work. If your abuser violates the order, it will extend to up to five years for the first violation and ten years for a second violation. You can also obtain temporary rights to custody and to the family home, even if you have to leave both to seek help. 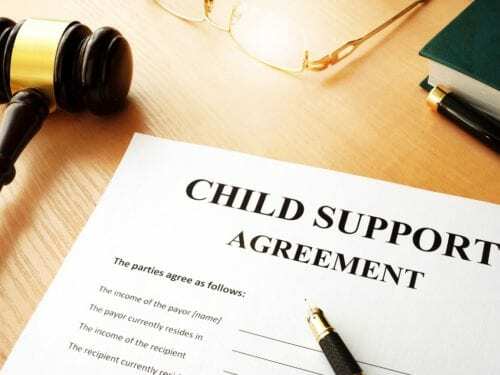 In addition, a domestic violence charge will be used as a basis for deciding child custody. Parental rights of your abuser could also be terminated thanks to a domestic violence charge. It may be hard to come forward if you are in an abusive relationship. But the abuse will keep happening unless you get the legal help you need. If you are a domestic violence victim in Nashville, Springfield, or anywhere in Middle Tennessee, know that you are not alone. Contact the domestic violence lawyers at Martin Heller Potempa & Sheppard, PLLC immediately for a confidential consultation and get the help you need. It’s Statute, Not Statue. There are no statues of limitation. Do not plan your next felony over the pay phone in your jail cell next to the sign that reads, "All phone calls are monitored and recorded." When using your friend's urine to pass a drug test, drug test your friend first.